When you’ve walked down the hair brush aisle, you may have noticed the huge variety of brushes available to purchase. Many are similar to each other and just a different color and brand. However, you should pay close attention to what material the bristles are. 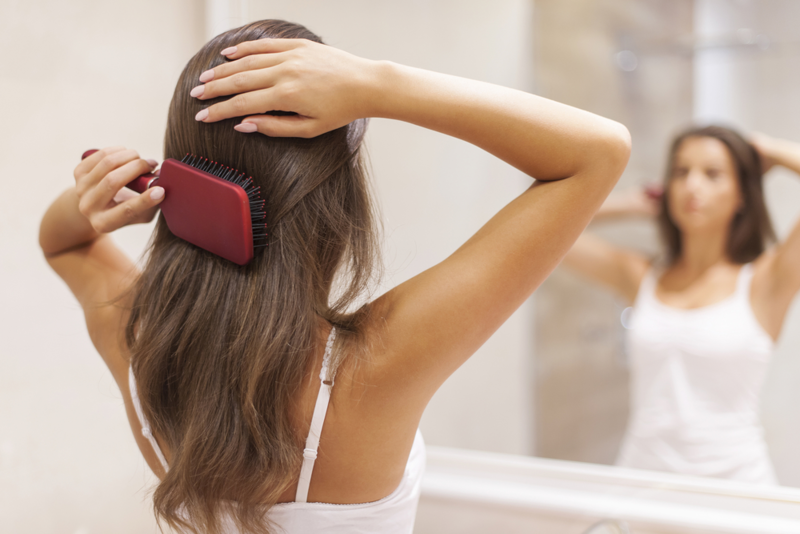 Using the wrong hair brush can cause damage to your hair. We’ll give you a general guide on which is best for your hair type. This brush is best for hair that has a medium to thick density. These bristles will easily detangle your hair due to how flexible they are. If you have curly or wavy hair, you’ll benefit from using a brush that has mixed bristles. The boar bristles will add shine to your hair, and the nylon bristles detangle hair easier. If you notice a brush that has bristles that are wider spaced, these work well to add volume to your hair. A brush with boar bristles slides through hair easily without snagging or pulling, and works well with fine hair. This brush works as a natural hair conditioner by spreading oils from your scalp through hair. Boar Bristle brushes should be placed in hot water for 20 minutes when first purchased. Then rake the brush downwards on the corner surface of your home. The vented brush has sections of the brush missing in the middle. This allows air to pass through and speeds up the blow-drying process. Of course, if you’re going to an important event where you’ll want to look your best, this technique isn’t suitable. It’s not going to give you a perfected look that you’re trying to achieve. These brushes are used when blow-drying hair. It can be used to straighten hair, or add volume and curls. This brush is similar to using a curling iron as the barrel heats up during blow-drying. Changing up the size of the barrel will change the size of your curl. If your hair is thin, damaged or fragile, it’s not recommended to use this brush. Perfecting your hairstyling routine at home depends on choosing the correct hair brush. Our team at TRU Salon + Spa can help give by showing you our brushes we carry and find the one that matches your hair type. Give us a call at one of our two locations - Branchburg, NJ (908) 218-9878 or Warren, NJ (908) 753-9878, book online, or download the app for free from iTunes, Google Play, or Amazon.